A new batch of graffiti tags have appeared on the Devon Village Wall in the past few days, adding to previous Sedgwick Station area tags awaiting SEPTA removal and the 8 foot hole in the Devon Village Wall awaiting SEPTA and Philadelphia L&I safety inspection survey results. 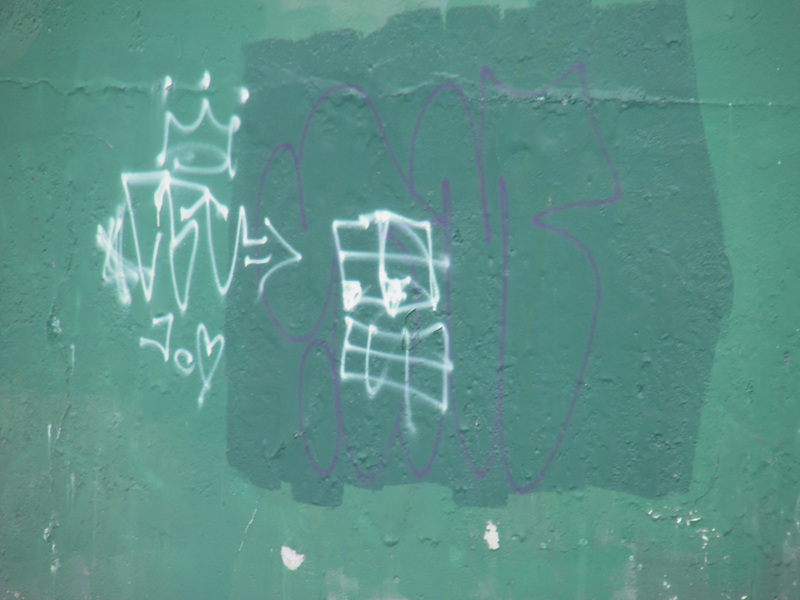 Here is a photo of 2 tags that showed up on Sunday morning, February 12, 2012. 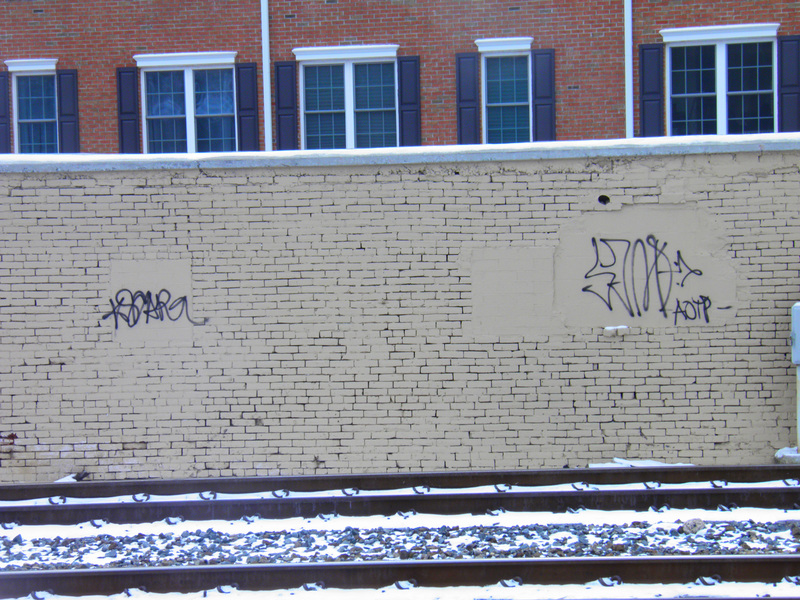 Here are 2 tags that showed up Saturday morning, February 11, 2012. 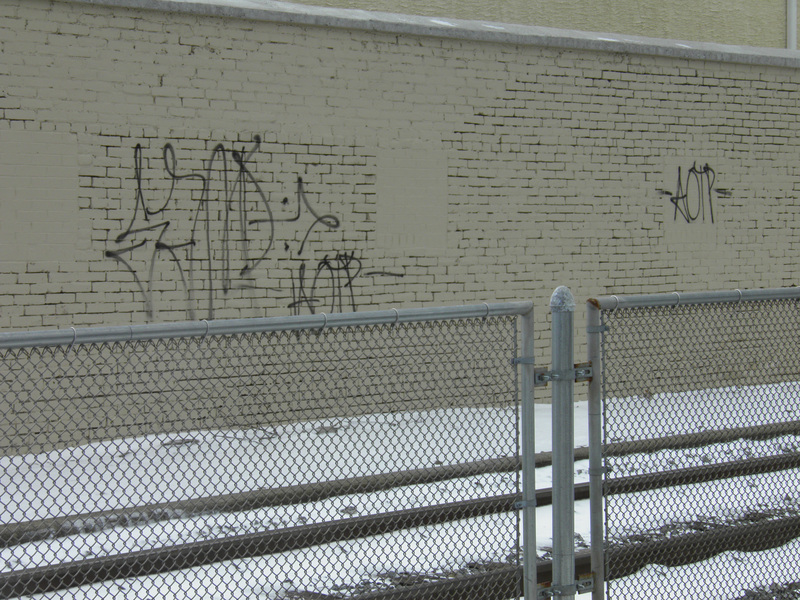 Here is a tag that showed up on SEPTA’s shed on Sunday morning, Febrary 12, 2012. 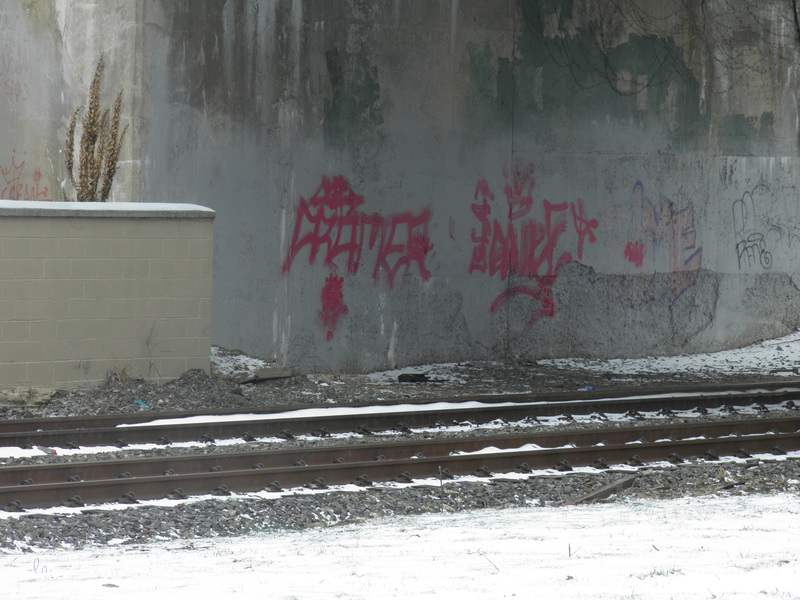 Here are tags on PENNDOT’s E Mt Airy Ave Bridge, west abutment. These tags have been their for several weeks awaiting SEPTA removal. 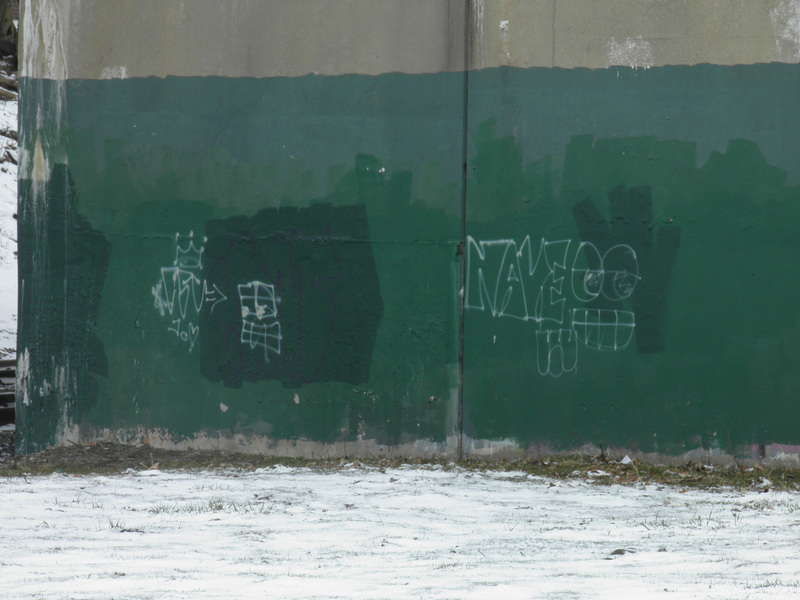 Here are tags on PENNDOT’s E Mt Airy Ave Bridge wall. These tags have been their for several weeks awaiting SEPTA removal. Here is a a photo of the approximately 8 foot hole in the Devon Village Wall that showed up on the morning of January 26. 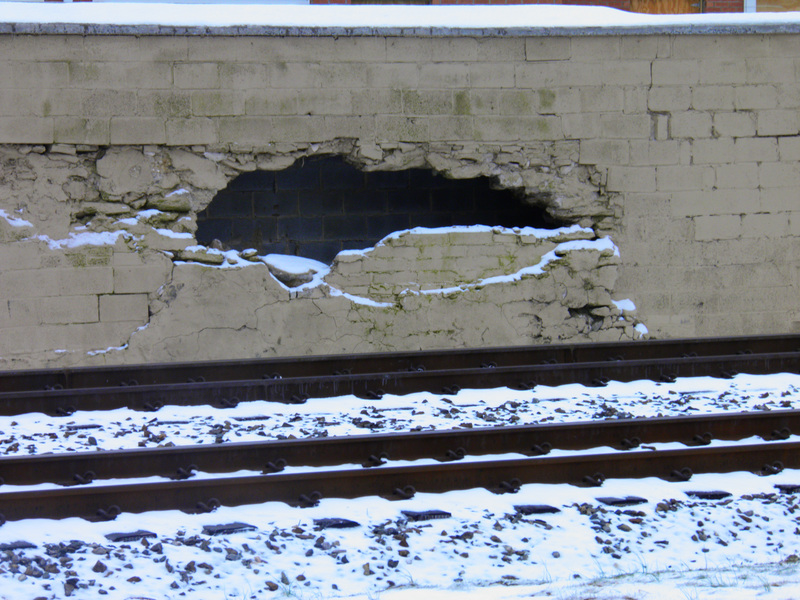 SEPTA and Philadelphia Licenses and Inspection were immediately advised of the hole because of SEPTA rail operations safety concerns. SEPTA sent inspectors the next day. This entry was posted in Mt Airy - Philadelphia. Bookmark the permalink.